1. Give It Time – As the weather heats up, many people run outside to get a jump on watering. This actually keeps your lawn from building a strong root network. Instead, wait for the grass to darken and show visible signs of distress before you add water. 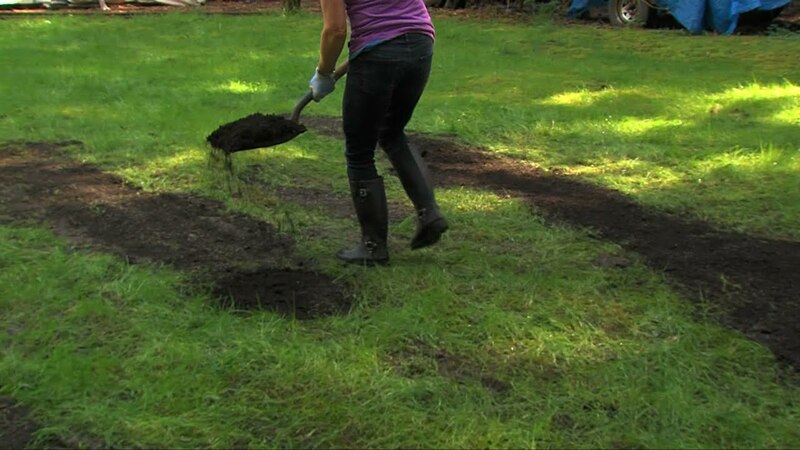 This forces the roots to grow deeper in the early spring months which makes the lawn more resilient long term. 2. Water Less Frequently - Similar to the reasons above, spacing out your watering days more allows your lawn to make better use of its roots. If you water too close together the ground will begin to get soggy and roots will recede or rot away. Water thoroughly and then give your lawn several days to absorb the water and put it to use before you water again. 3. Water Deeply – Your lawn needs water to reach the roots. If water sits on top of the blades of grass but never gets to the soil your grass will be subject to a number of foliage based diseases. Consider drip irrigation or a soaker hose to put water close to the roots. 4. Water Early – Watering during the middle of the day causes heat to be magnified on your grass from the sun. Watering late at night encourages fungal growth during the cool hours. Instead, water early in the day so that the dew on the blades of grass can evaporate before the sun reaches its peak but the water has time to seep down into the soil. 5. Don’t Over Do It – Overwatering costs a lot of money, but it also causes your soil to erode and increases the risk of diseases. Use a rain gauge to measure how much water is falling on your lawn and cut it off once you have reached 2-3″ of waterfall uniformly across your lawn. 6. Fertilize – Fertilization helps provide adequate nutrients that your native soil may be lacking. 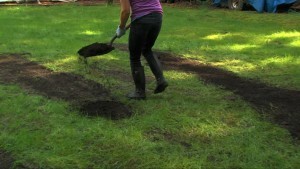 Using a spreader from your local landscaping shop you can evenly distribute fertilizer across your lawn. Do not water after you have fertilized as this will wash the nutrients away and into the storm drains. 7. Aerate – Aeration is another key way to improve your watering capabilities. By creating pockets in the soil, water and fertilizer are able to reach roots more directly. A powered aerator can be used on the lawn one to two times each season for best results. 8. Watch the Weather – Pay attention to when rain is expected and don’t water in advance. After the rain comes, wait several days to let your lawn dry out a bit before you resume your watering schedule. 9. Mow Frequently – The goal is to help water reach the roots of your lawn. If you are leaving your lawn to grow longer so that you don’t have to cut it as frequently, you may be preventing water from reaching the roots at all. This will work against you instead of for you. 10. Know Your Grass Type – Not all grass is created equal. 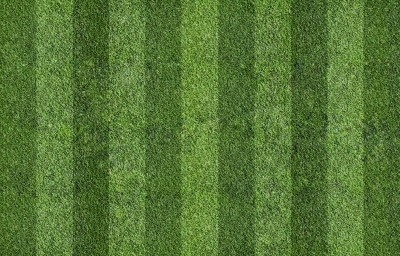 Some types of grass need less water than others, and some combinations of grass support one another by taking advantage of changing water conditions. 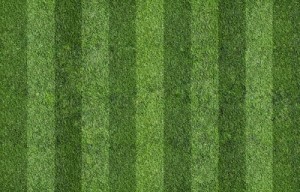 Learn about the grass in your lawn and determine the best watering pattern for you. 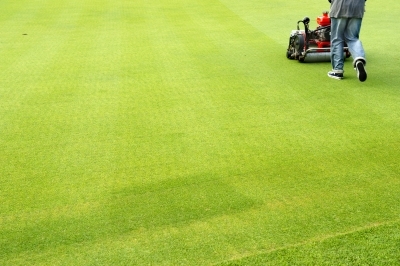 For more information about keeping your lawn in top shape this summer, visit hondalawnparts.com. They have a full selection of Honda OEM replacement parts and accessories necessary for keeping your equipment running smoothly for a grass lawn.